No matter if on holidays or on the go or permanently in your car, the Sota-Logper is always with you. 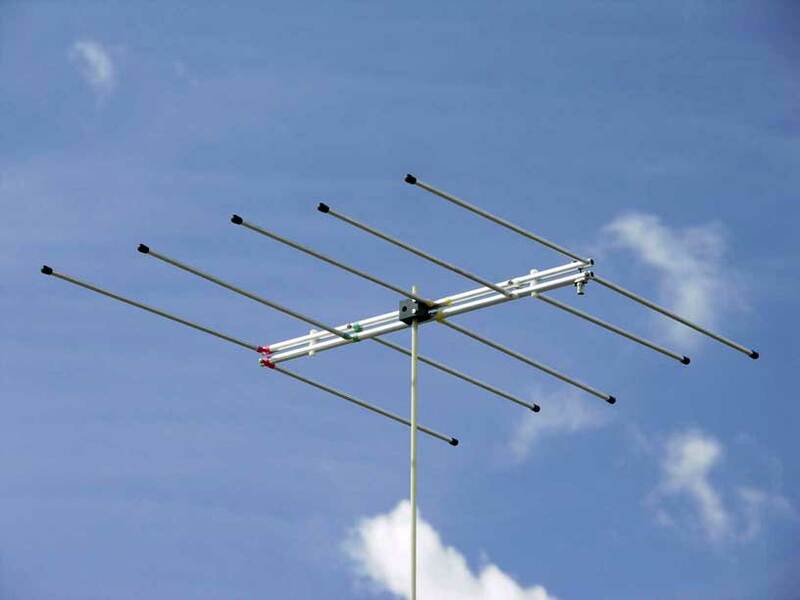 With only a pack size of 64cm in length this antenna is a constant companion. Deployed within a few moments and you have 2 bands with decent gain at a compact size and low weight, without any cable mess or duplexer, also ideal for portable sat-operation. BNC connector for both bands, bracket for vertical or horizontal mounting. HB9CV antennas are used for direction finding or small portable antennas. With the HB9CV design, both elements are fed phase shifted, achieving a relatively high gain of about 5.5 dBBD. All HB9CV models are Nickel or Chrome plated. Dual band HB9CV One antenna for 2m and 70cm. Theends of the elements are removeable for easier storage and transportation. Two separate connectors (BNC) for 2m and 70cm. 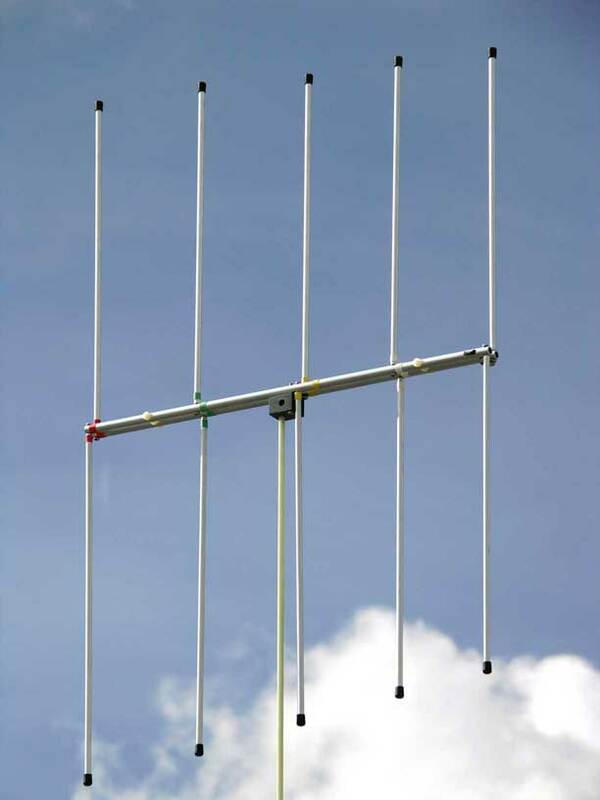 This 2m HB9CV antenna can be collapsed into 7 elements, including the inner boom segment. So the antenna can be packed very small for transportation. Together with the small portable mast in it's included bag, and you're ready for a backpacking trip. Small portable mast for HB9CV, 5 elements, nickel coated brass, total length 180cm, collapsed only 38cm, weight 380 gram. With PL connector on top, can be directly used for connection to the 2m HB9CV, lowest segment has a pin point for ground mounting. Requires a cable to be soldered to the PL plug (cable not included). 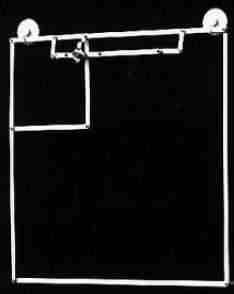 Quad loop as a mono band antenna for 2m or 70cm, or a dual band version for both bands. Full wavelength loop, gain approx. 1dBD, includes BNC connector. The loop can be opened at one corner, which allows for fast and very small packing. SWR adjustment with a plastic screw at gamma match feed. Both antennas are mounted to the window with oversized suction cups, can be mounted either for horizontal or vertical polarization. Collapsible dipole for 2m and 70cm, well suitable for balcony, window sill or other portable operations. Fits in any bag, gain at least +5dB more than rubber ducky. Both dipole sides are made from stainless steel and are simply plugged together. Central part tighly sealed, with PL jack and mounting hooks. Max. 100W.